This truly is a celebration of design in its various forms and I will endeavour to give you a brief glimpse of some of the events going on. 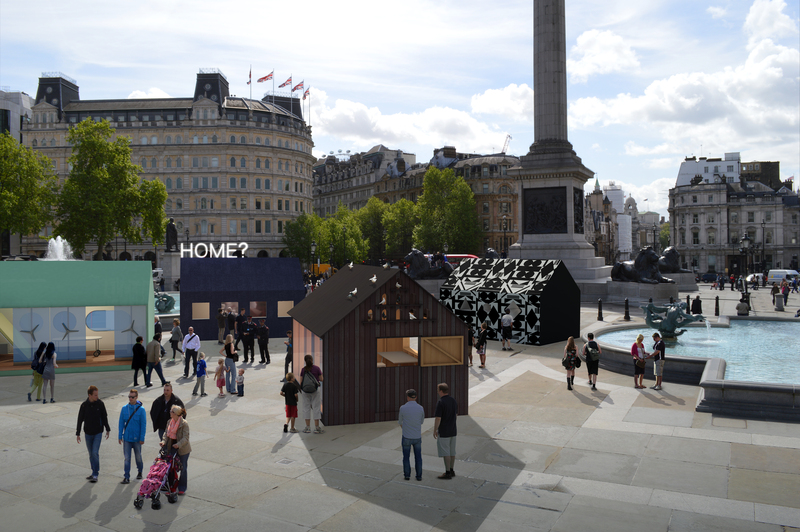 In Trafalgar Square you will find A Place Called Home where, invited by Airbnb, four designers – Jasper Morrison, Patternity, Raw-Edges and Studioilse – will give their ideas on what home means. Although appearing similar in shape from the outside the interiors will be quite diverse. (18 – 22 September, 10am – 10pm). 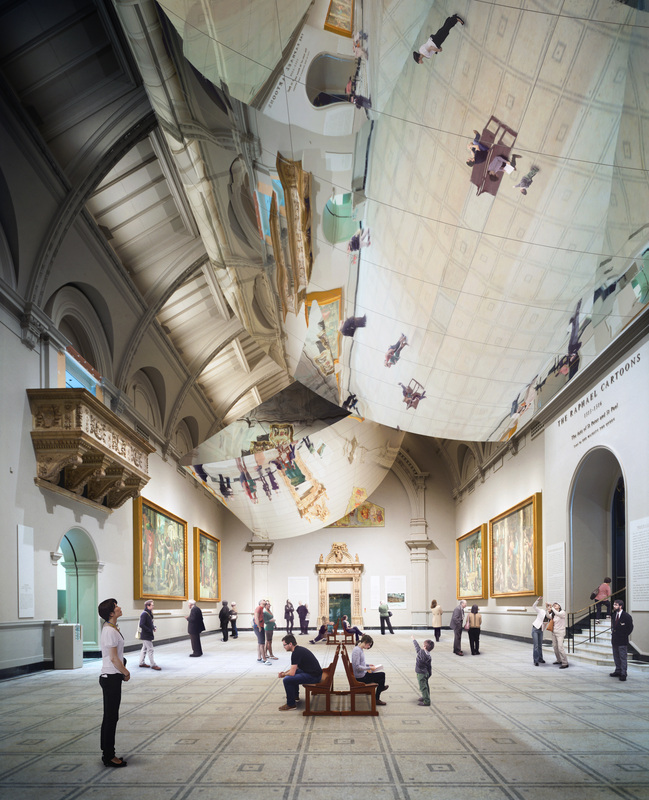 The V&A Museum is once again a major hub of the Festival. One thing there is Crest by Zaha Hadid Architects and commissioned by Meliã Hotels International. It is a sculpture that will feature across the pool in the John Madejski Garden. This striking structure will reflect both the sky and the waters of the pool. (13 September – 24 September, 10am – 5.45pm daily, 10am – 10pm Fridays). 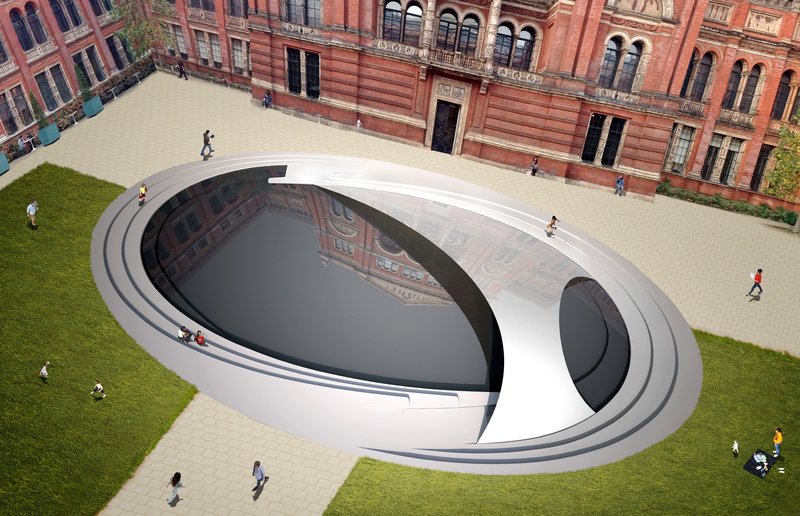 Visitors to the Museum’s Raphael Gallery will find their view of both the cartoons and the architectural space transformed by a kinetic sculpture devised by designers Edward Barber and Jay Osgerby in conjunction with BMW. (13 September – 24 October, 10am – 5.45pm daily). Among those appearing at Decorex International, which surely offers the very best in luxury design, is the London-based design studio Baroncelli who will be showing their new Arlo chandelier and Atomos wall light, fine examples of pushing the boundaries of creativity and working with glass. 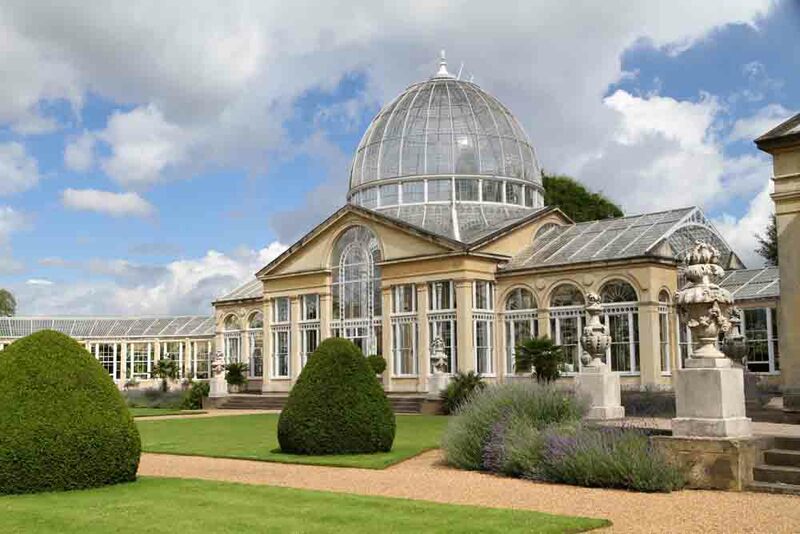 (13 – 24 September, Syon Park, Brentford, TW8 8JF). 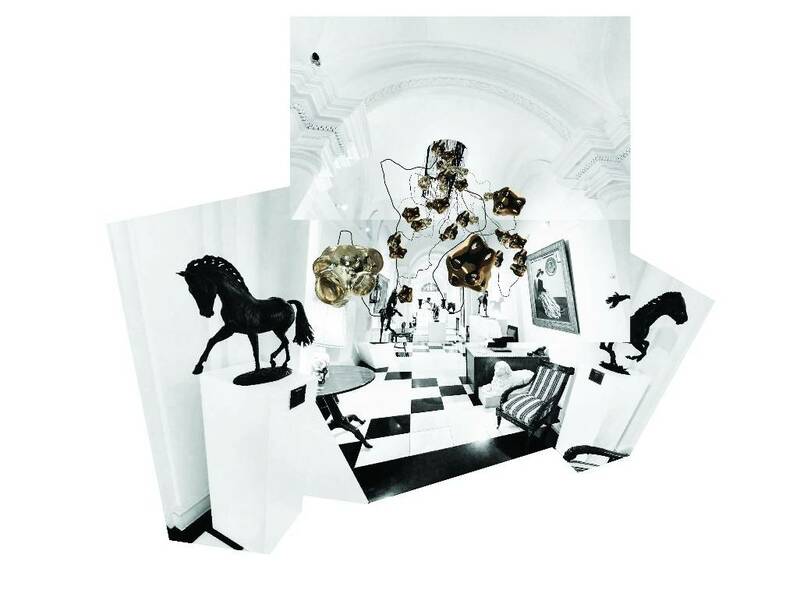 This entry was posted in Books, Carpets, Contemporary Art, Decorative Arts, Furniture, Glass, Interior Decoration, Photography, Textiles, Visual Arts, Works of Art and tagged Decorative Arts, furniture, Interior Design, Lighting, Photography, Syon Park, textiles, Visual Arts.